Knitting is an art that is passed down from one generation to the next. Just like woodwork, it requires patience, mastery, and passion. It brings pride to create something with your hands. How to knit for kids is not just teaching them to make things on their own but teaching those important virtues in life. Your child can learn coordination, patience, and agility from the simple art of knitting. 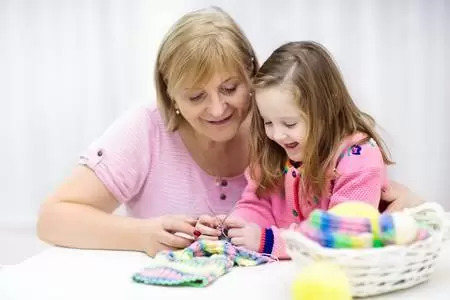 Knitting provides a bonding environment for the child and the parent. You can interact with your child as you knit. It is one of the exciting things that you can do anywhere in the house, and you do not require fancy equipment. There is no specific age that is recommended for your kid to start learning how to knit. Some kids learn earlier than others depending on the interest that your child shows towards the activity. It will also depend on with your child’s level of grasping new ideas and coordination. Knitting is a process, and for kids who are starting, they should learn finger knitting. Finger knitting for kids is a safe way to start, and it enhances your child’s finger coordination. Children knitting kit is another important step of how to knit for kids to become possible. The choice of equipment and material is important because they can motivate your kid. Most will opt for wool and acrylic yarn because they are friendly to the hands and easy to use. We recommend bamboo needles and wooden needles when preparing your child. The size of the needles will depend on with your child’s finger size. Give your child an opinion in the process and let them choose the color of the children knitting kit that they prefer. When the finger knitting for kid’s stage is completed, then it is time to take the lessons to the next step. Try and celebrate each milestone that you accomplish in the process. How to knit for kids is not a complicated thing, but the steps that you follow will give your child the perception of how easy or hard it is to knit. Teach your child the basic knitting techniques. Knit stitch and cast on are some of the basic knitting techniques. It will give your child a sense of accomplishment when they complete it, and they will stay motivated to try out new and complex techniques. The baseline or any knitting project is the cast on. Loops are created by the techniques which are used to make the first row. There are four types of casting on techniques but longtail cast on and single cast on are recommended when you are teaching how to knit for kids. Make a loop using the yarn then pass the yarn through the loop to create another loop that has a knot. Slide the needle in the knot and tighten the knot by pulling the yarn. Take the working yarn and roll it on your thumb to form a loop. Intertwine the needle through the loop on your finger. Pull the yarn as you remove your thumb from the loop. You can repeat the steps until you achieve the number of casts you want. The challenge of teaching kids to knit this basic comes in the consistency of the tension they apply on the casts. Try to direct them to put an even tension on the casts. When you want to do a longtail cast on leave a tail that will approximately fit the number of stitches you intend to cast. We recommend about 1 inch for every stitch because it will make it easier for your child to do the stitches. Roll the yarn twice on your index finger and make a slip knot. Slide the needle through the loop and tighten the knot to hold the needle at the desired tension. Put the tail on your thumb and catch the working yarn between your middle fingerand your pointing finger. Use the remaining fingers to hold the working yarn against your palm firmly. Create a loop with your thumb by sliding the needle from the bottom to the top and towards the pointing finger from top to bottom. Drop the needle through the loop in your thumb downwards. Pull the yarn as you release your thumb from the loop. The knit stitch is also referred to as garter stitch. How to knit for kids is made 100 times easier when they learn this basic technique. Hold the working needle with your dominant hand. Hold the needle with stitches on the other. Slide the tip of the needle on your working hand through the uppermost stitch. Take the yarn and wrap it around your working needle then bring it through the other needle. Use the tip of your finger to slide the needle with the stitches to release the new loop and the uppermost stitch. Use the tail to tighten the new loop. Repeat the procedure until you complete all the stitches. How to knit for kids is a fun way to show them that they can be creative. Start with the easier projects that will boost their motivation in the process. Garter stitch scarf and dishcloth are some of the recommended first knitting projects for your kids. Let them use a single color because switching yarns may be difficult for them at first. Another advantage is that they do not have complex patterns. Best Knitting books for kids can provide simple first knitting projects and the procedures to make the items. When teaching kids to knit, let them make their mistakes at this point and guide them on how to identify and rectify the mistakes. Learning a new skill can be challenging especially a technical one like knitting. Give positive feedback on the efforts that your kid is making. Just as the knitting teaches your child to be patient, you also have to be patient when showing how to knit for kids. Children have different learning abilities, and others may take longer to grasp the concept fully. How to knit for kid’s lessons should be less than an hour. Children become easily bored, and longer sessions can make promote boredom. Observe your child and run the sessions according to their pace. When your kid knows how to knit stitches and to cast on, then they are ready to go. 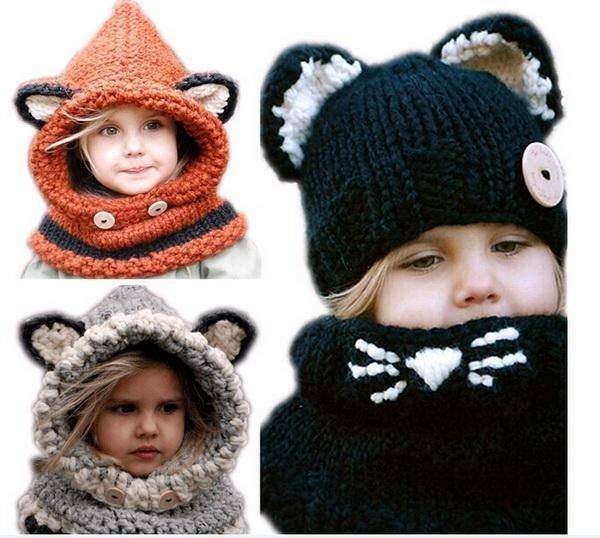 Children knitting kits contain equipment that can be used to knit a garter stitch scarf. Knit stitches and rows to the length that you want the scarf to be. Weave the ends using the crochet. The garter stitch scarf can be customized the way you want. Allow your kid to use the color they want and add accessories to it. You can sit beside them and help when necessary but let your child carry the heavy load. One of the DIY knitting projects that will make the knitting sessions worth it is knitting baby booties. It is simple and both of you can enjoy making. Measure the sole of the bootie to give you an estimate of the length of yarn that you will use. Knit two individual squares and place them to form T-shape. Fold the ‘wings’ to assume a bootie shape and knit the joints to hold in place. You have to be careful with the measurement to avoid uneven booties. However, if it is for fun you can do one bootie and let your child do the other. Knitting is a technique that any child can be taught. It brings the good old days bonding between the parent and the kid. Try and make the sessions fun for your child so that they will be eager to learn. Having a one-on-one session helps to teach your kid how to knit better than placing them in a groups. There are numerous knitting books for kids and you can teach your child even if you are not a maestro in the art of knitting. Make it a journey that both you and your child want to accomplish. At the end of learning how to knit you will have a bonus and that is great relationship and bond with your kid. Janome Vs. Brother – Who Makes The Best Sewing Machines?